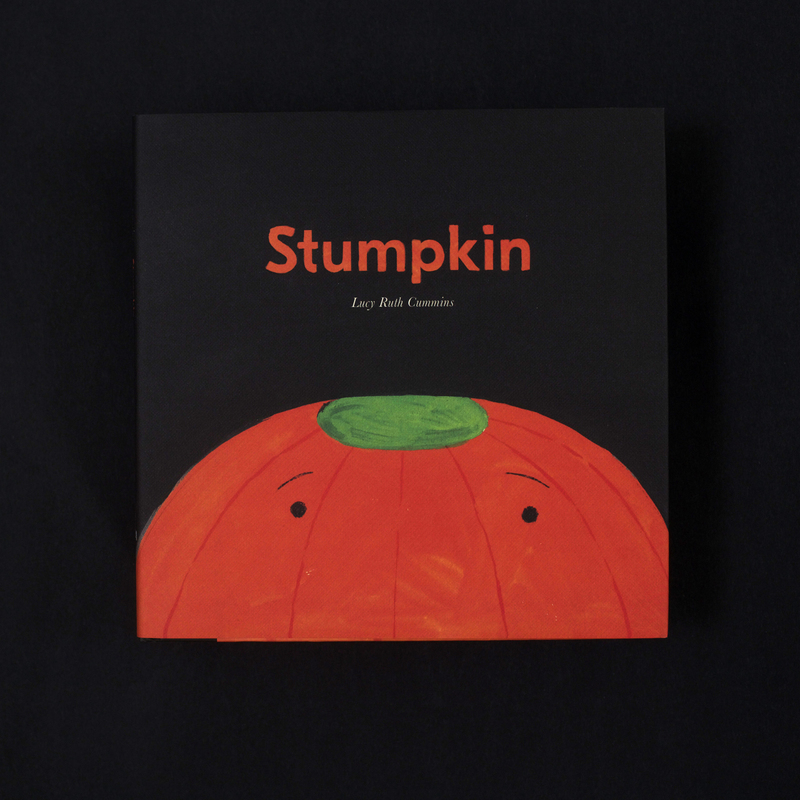 Stumpkin, as you can guess, isn’t the perfect pumpkin. He sits as all the other pumpkins are chosen and given places in the window. 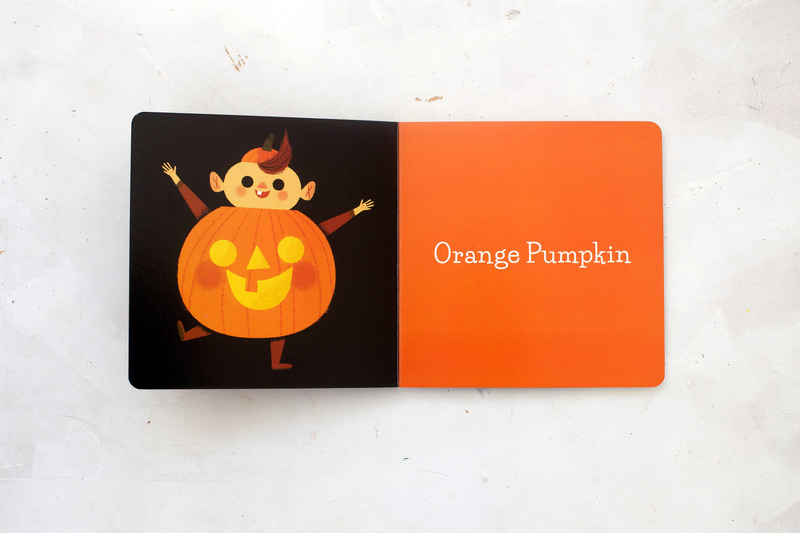 He recognizes his faults but gives himself a pep talk, because he would like to become a jack o’lantern. When even a gourd is chosen over him, his hopes are deflated. 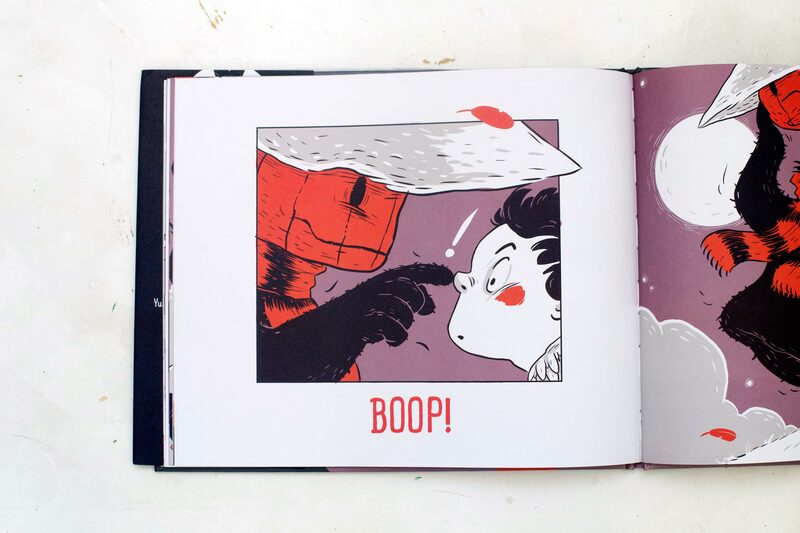 You think you can imagine the rest of the story but Lucy Ruth takes a predictable situation and somehow makes it feel like a new perspective. Halloween magic! 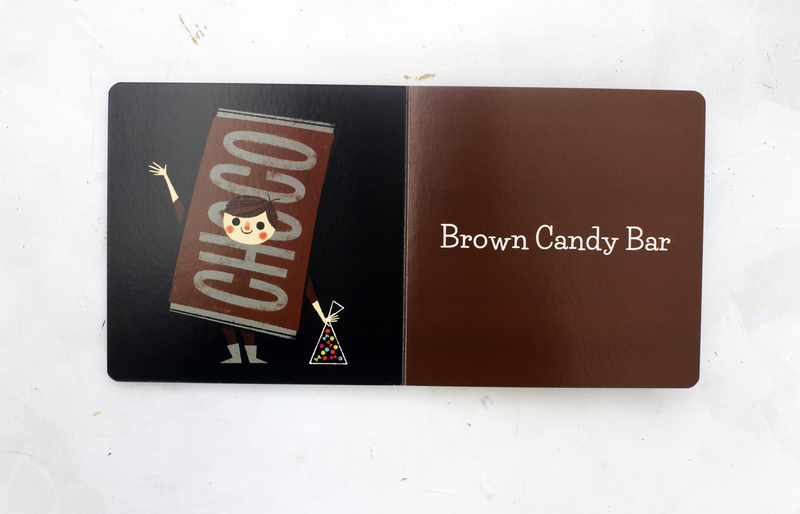 From the first time you touch the book, you know it’s going to be special. The richly textured cover feels like a canvas to which Stumpkins sweet little face is painted on. 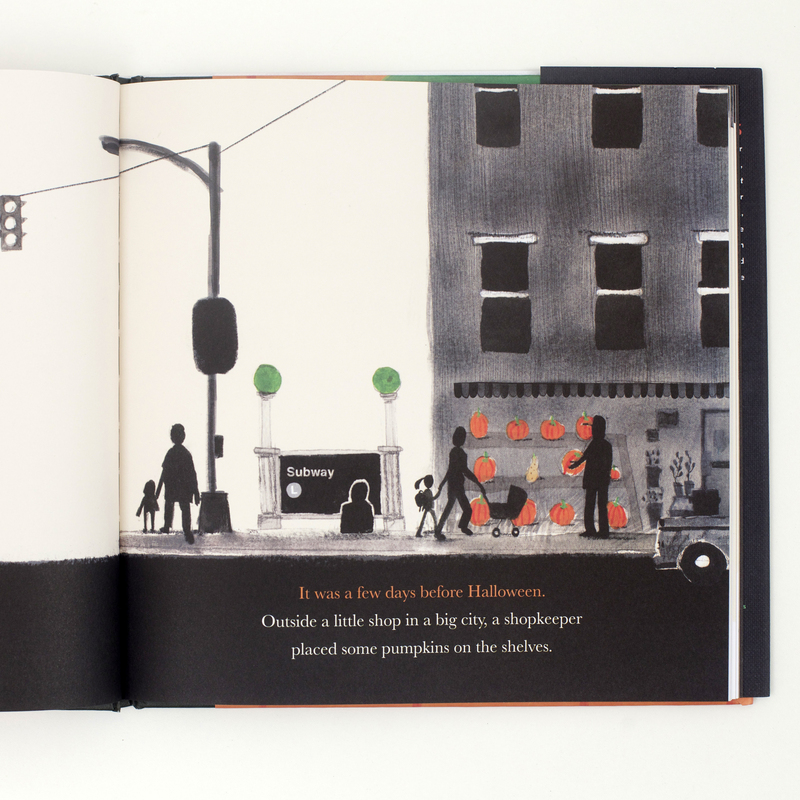 With a mostly black palette and silhouetted people, only hues of orange and tiny green stems that color the pages. When you get to the end, you hug the book, a story you knew was coming but had the power to make you fall in love with imperfect little Stumpkin. Because the underlying truth is we are all looking for a safe haven where we are accepted and loved for who we are. Find more about Lucy Ruth here. 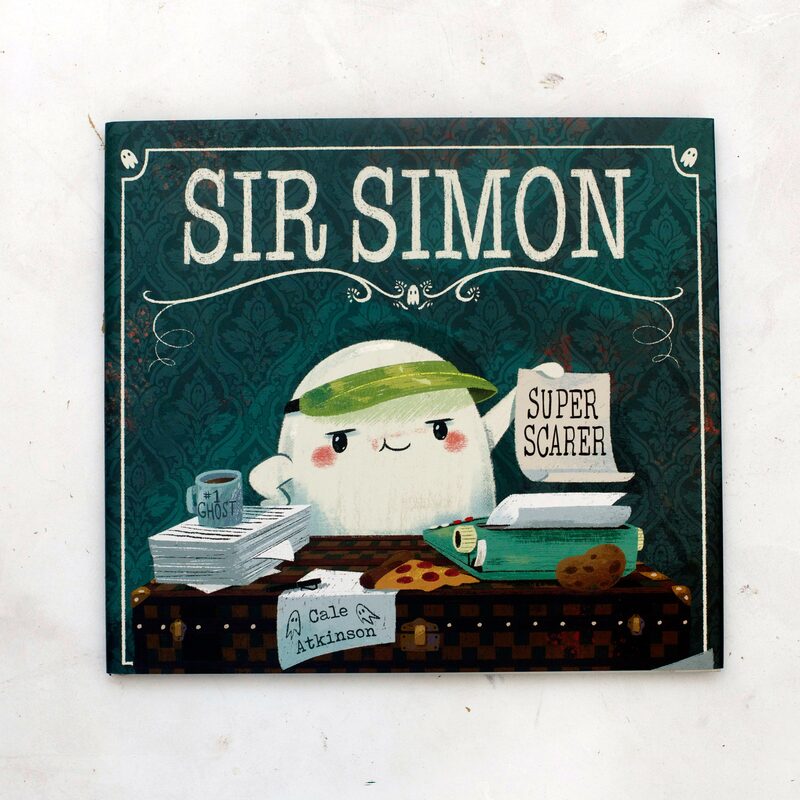 Simon is a professional scarer expecting a grandma to live in his newly assigned haunted house which is the easiest type of person to haunt as elderly people are fond of sleep. 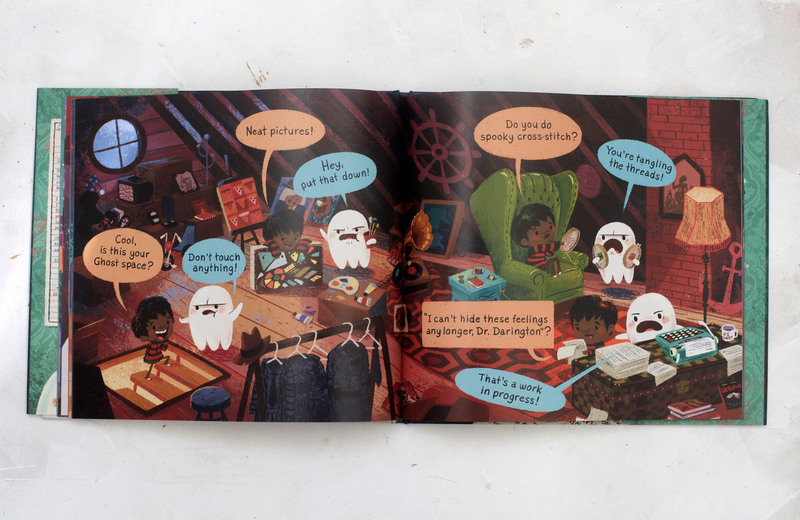 Scaring is a lot more work than you can imagine so it is with great annoyance that Simon finds a kid instead. A kid with too much interest in him. Simon devises a plan which has the kid taking over all his ghostly duties so that he can get back to writing his novel. Things don’t go as planned. Can we just talk about the range of emotion Simon displays? 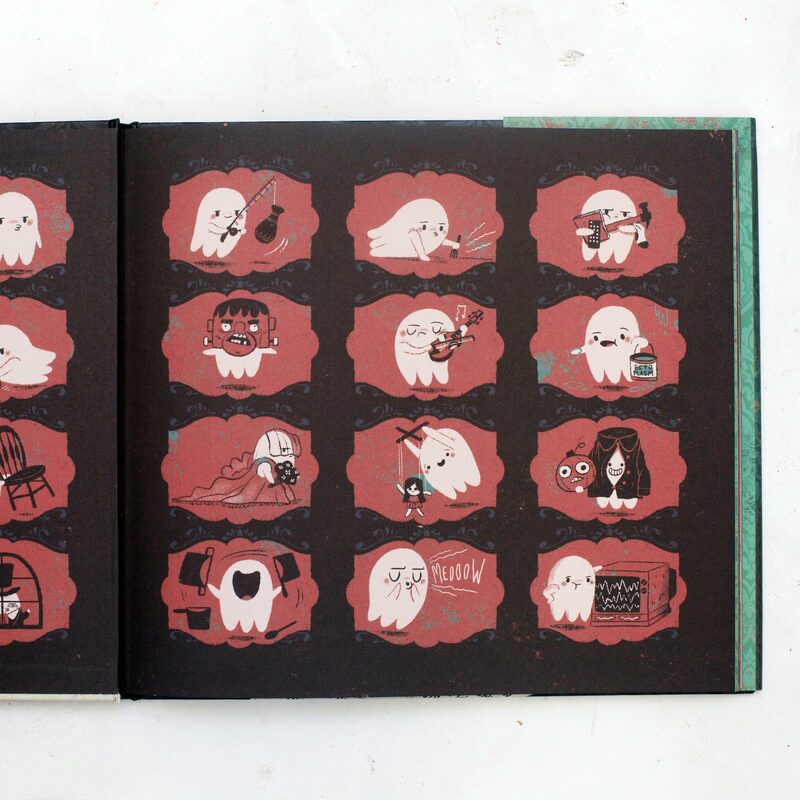 Cale creates infallible character designs, one of the reasons we are so drawn to his work. 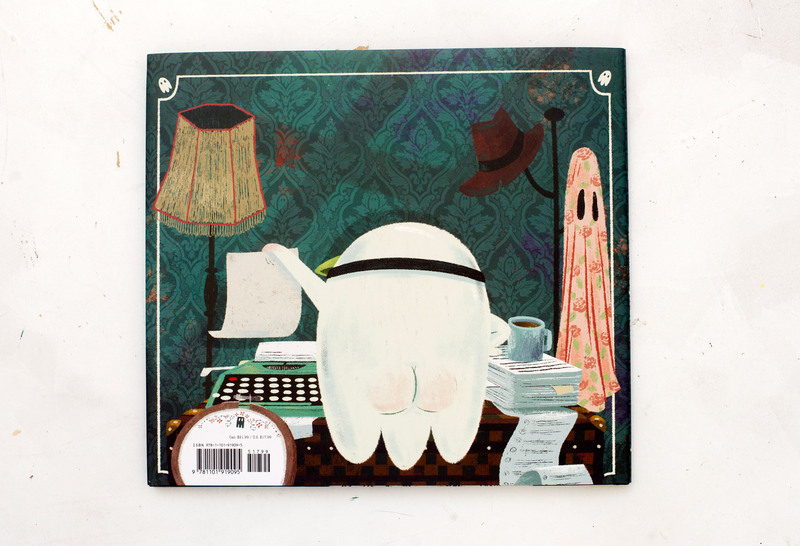 He also has a way with humor, that’s the backside of the cover below. Pun intended. Catch up with Cale here or here. “HOW DOES A STORY BEGIN? This year marks the 200th anniversary of the publication of Frankenstein. 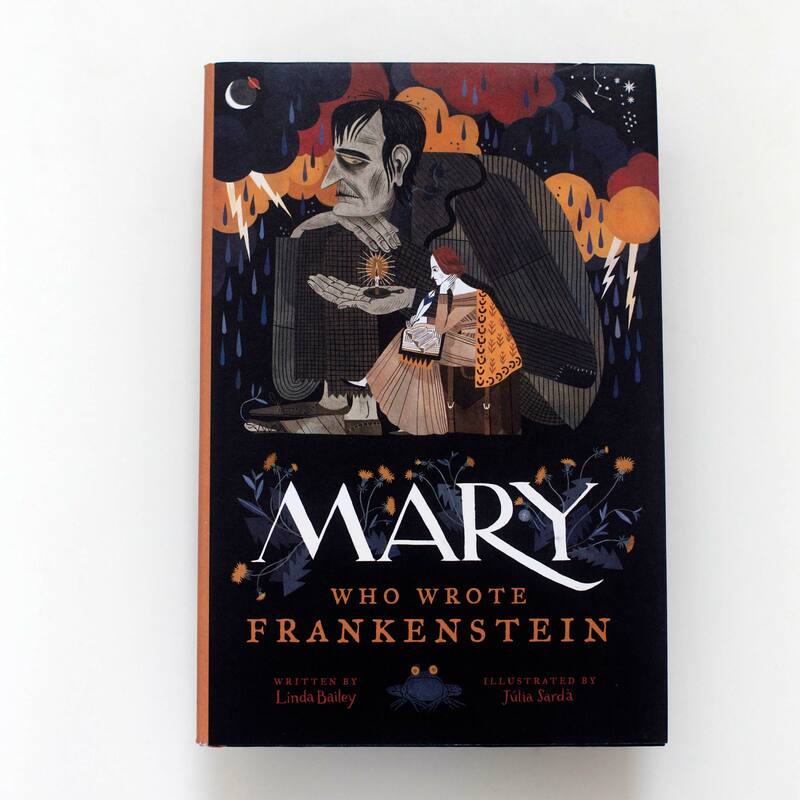 A dark classic being celebrating in a time when women are noticeably a forefront in the content and the creation of literature, a very different time Frankenstein’s author Mary Shelly experienced. Mary Wollstonecraft Godwin was born to a feminist mother who passed away when she was young. Her father taught her to read by tracing her mother’s tombstone. With her imagination and penchant for ghost stories, she goes on to write about a scientist and his creation of a monster. Demmed to scary too have been written by a girl the credit was at first given to her husband Percy Shelley. 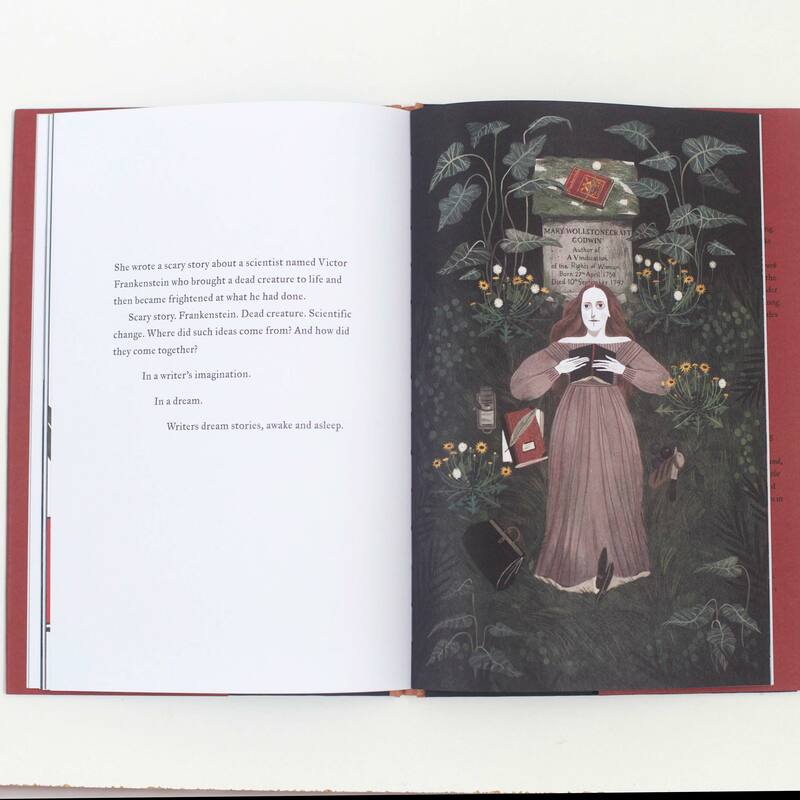 Linda Bailey has written a perfect primer for young readers and a powerful retelling of Mary Shelley’s life and writing. Set to Júlia Sardà’s rich and dark watercolor and digital illustrations it creates a perfect pairing. 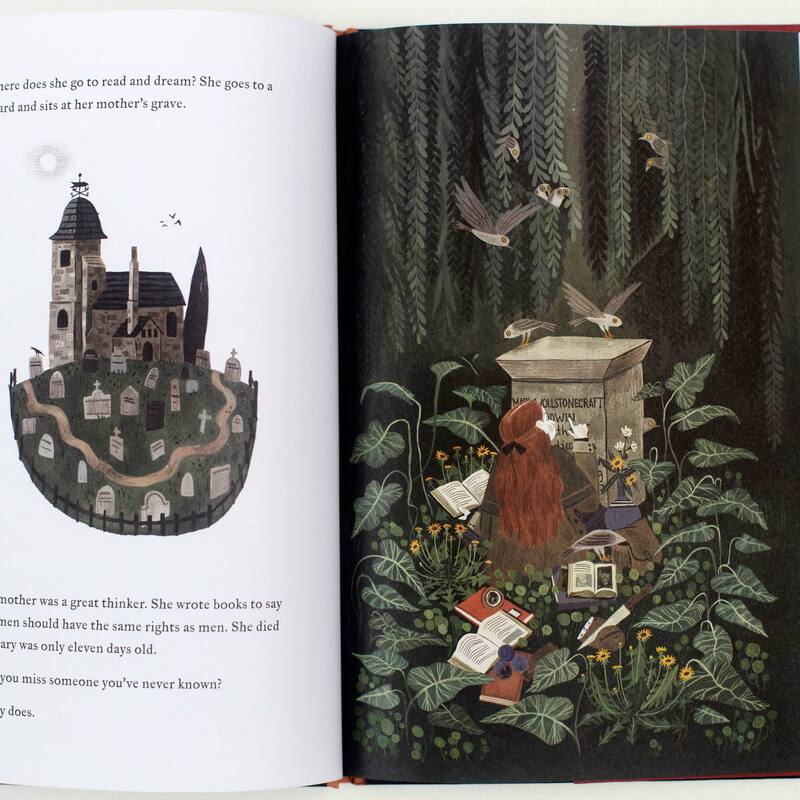 My favorite spread is where Mary is writing and her monster is talking up all the space in the room, very much like a writer’s thoughts. I’m also drawn to Mary’s reflection on the mirror. Sardà’s details have you lingering on each page. Where some have found this book creepy, I find it a powerful nonfiction picture book for budding young writers. Frankenstein was afterall about love and loss, without darkness how do we see the light? 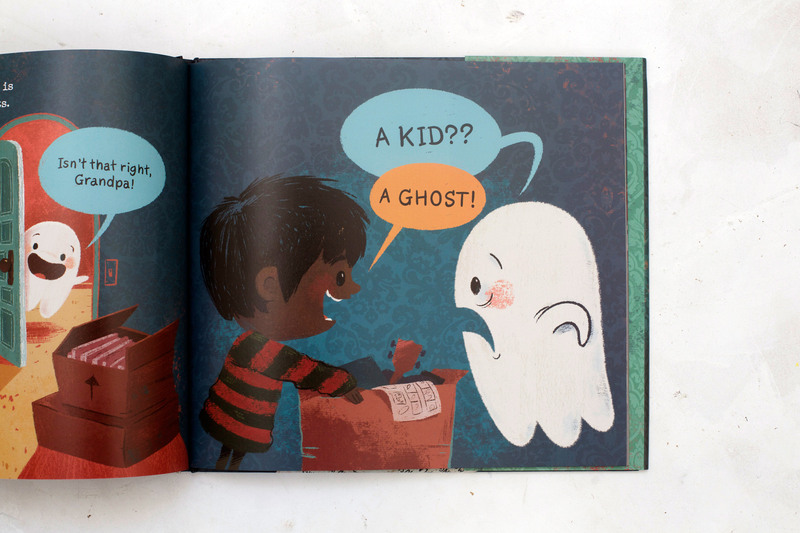 Not all children are unicorns and talking cupcakes, some have a taste for ghost stories early. This book is for them, just like young Mary. You can find more of Lind Bailey here and Júlia Sardá here. 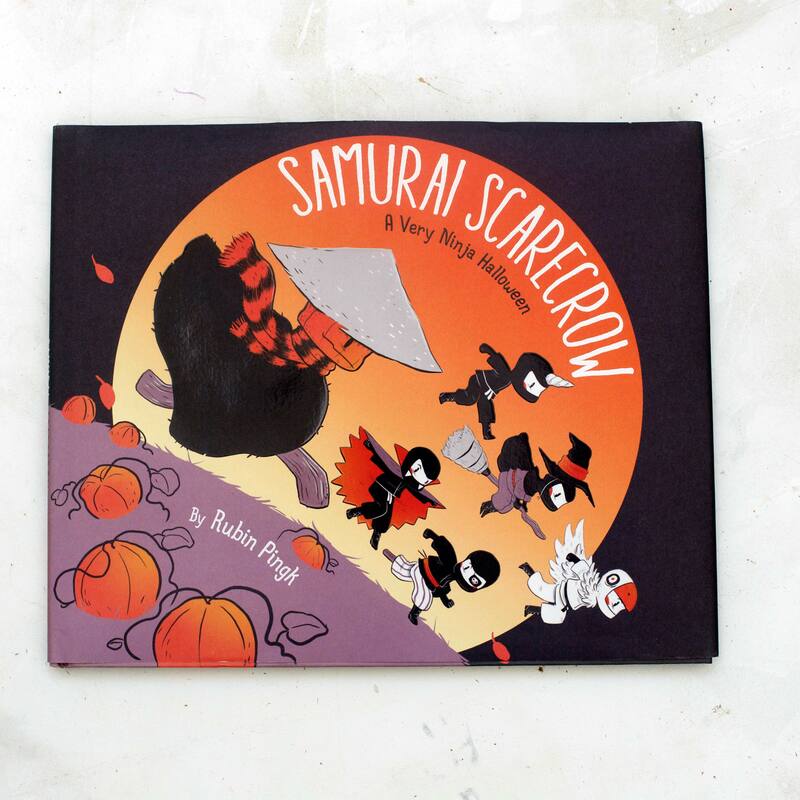 Samurai Scarecrow is an exciting addition to our Halloween collection and touches on a subject we know well – sibling rivalry. We were very happy to see Yukio again. 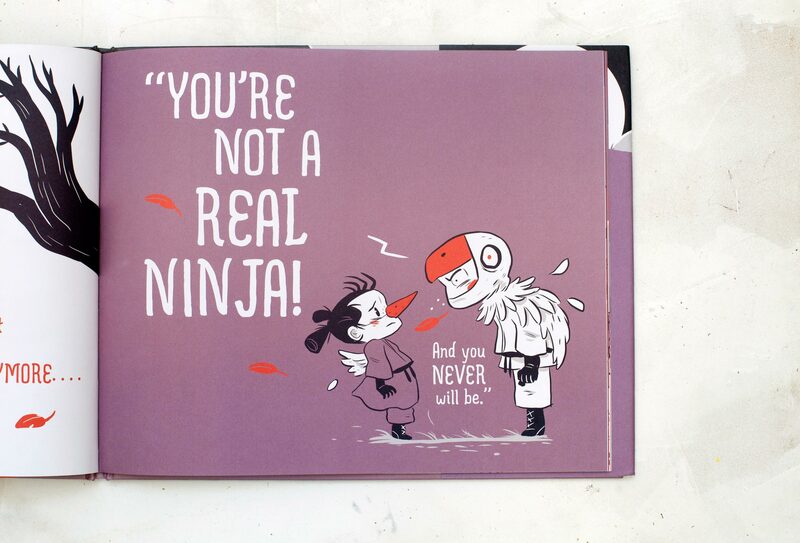 Our favorite ninja in which encases they very essence of the ninja loving boy energy in our home. 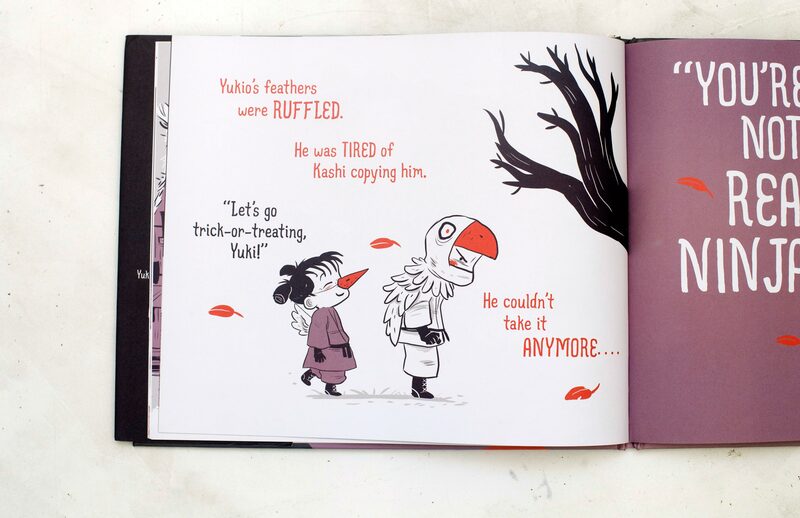 Kashi, the younger sister in this tale just wants to be like her very cool older brother, Yukio. Like most older siblings this admiration isn’t quite a quality to be appreciated but rather an embarrassing annoyance. After yelling at his sister, even though he tries to make a mends a very hurt Kashi refuses to go trick-or-treating. 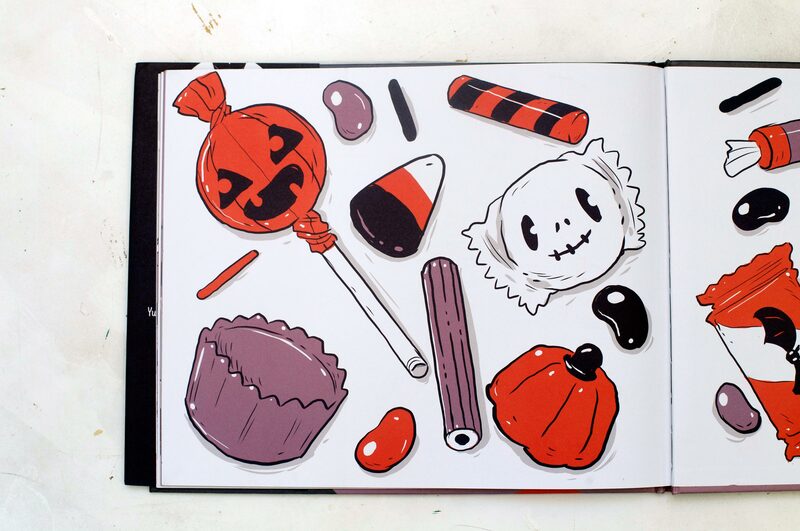 A reluctant Yukio heads off into the night with his friends because there is candy to be had. On the way home, the realize they are being followed by something. Not just any something but Samurai Scarecrow!! Who Yukio meets face to face. This is the part where I leave you hanging because I’m not one for spoiling books when sharing. I hope you will pick this one up and see how it ends because it will not disappoint. We are very big fans of the incredible color palette and dynamic and distinctive illustrations of Rubin Pingk. The open spread of the children roaming through “Ninja Village to The Farm District..past the Whispering Woods..” is one of my favorite. 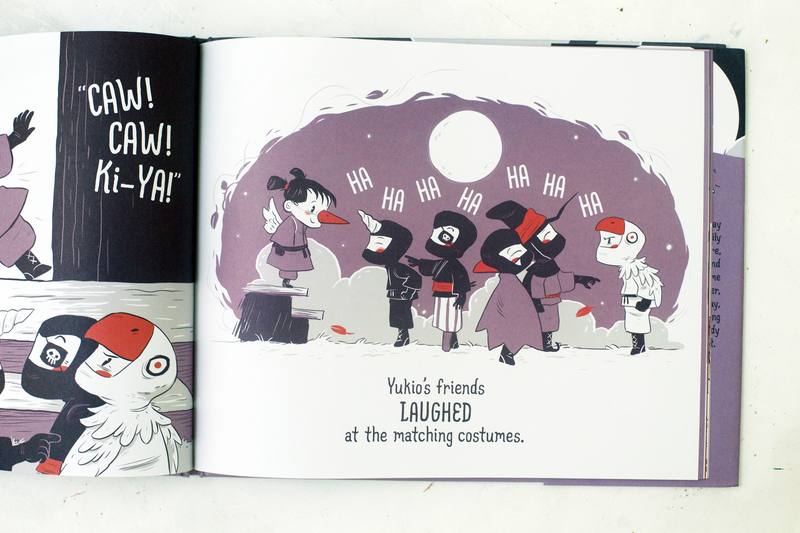 We first became fans of Pingk’s work when we stumbled across Samurai Santa which holds the most epic snowball fight to date. 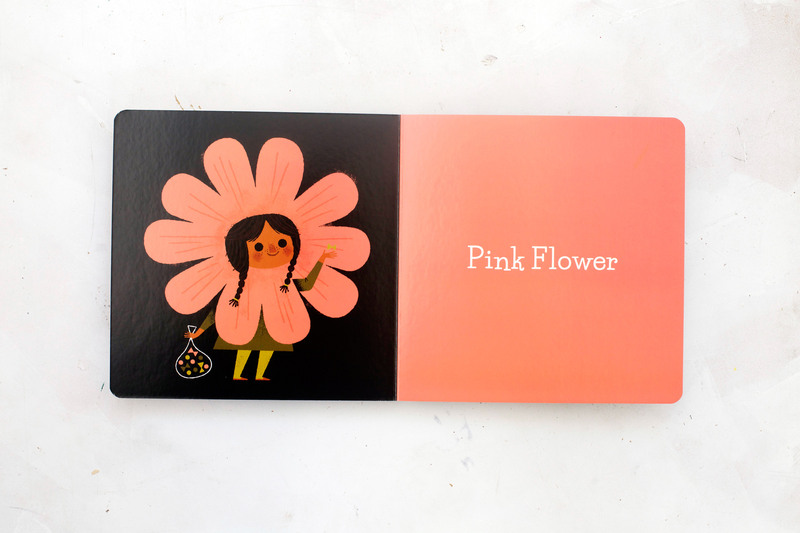 You can find more of Rubin Pingk here. 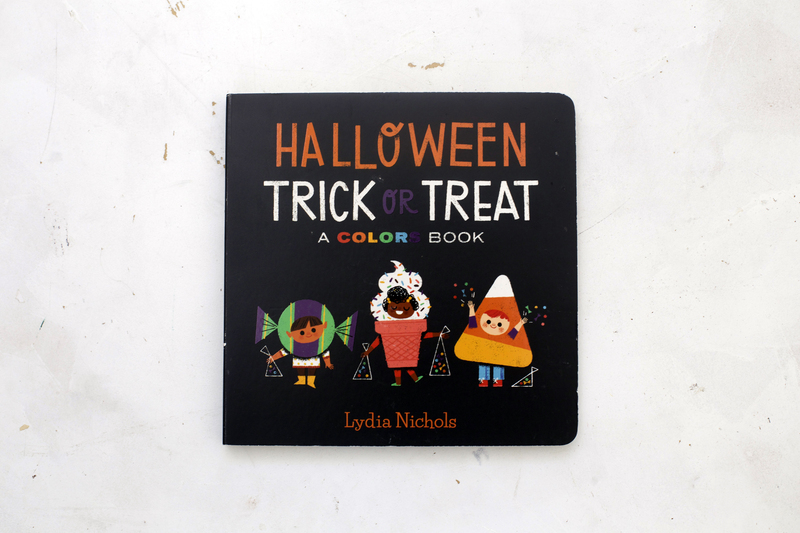 A Halloween colors book for toddlers teaching color through adorable costumes like a red crayon, an orange pumpkin, or a brown candy bar. 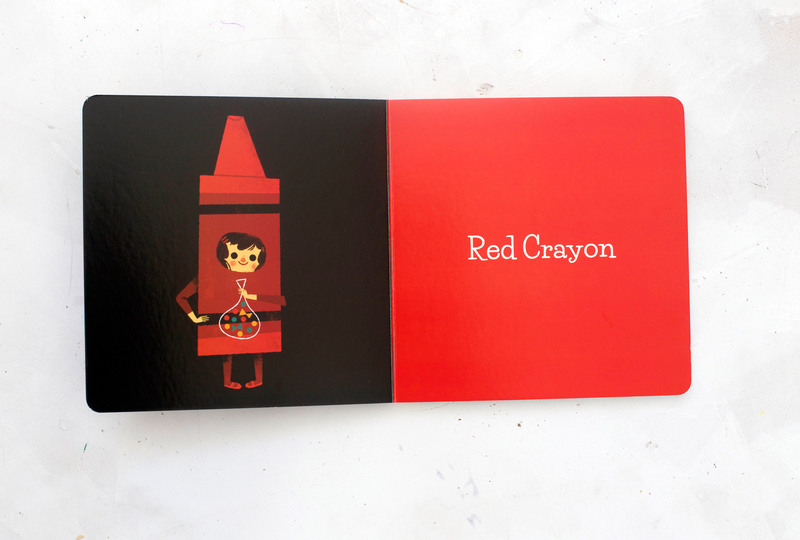 I honestly didn’t buy this book to teach colors, although it’s certainly good for that. The children in my home have outgrown board books. If you have been following me for some time you know that I have a have a penchant for great character design. With a clean retro feel and simple but beautiful use colors, I knew I would visit this one again and again. Find more of Lydia Nichols here.